The VivoBook Pro 17 N705UD is a 17.3-inch 178°wide-view display with up to Intel Core i7 processor, up to NVIDIA GeForce GTX 1050 GPU, and is supported by up to 16GB RAM + up to 2TB HDD storage. The lowest price of ASUS VivoBook Pro 17 N705UD is P100,800 at Galleon. VivoBook Pro 17 N705UD is not available in other stores at this time. 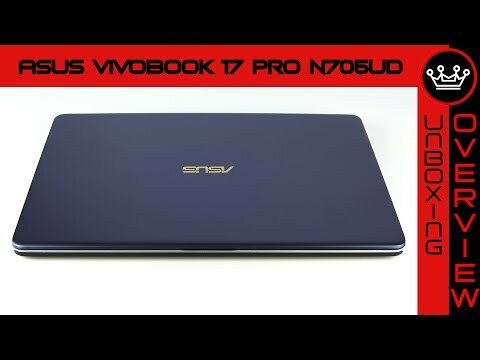 The latest price of ASUS VivoBook Pro 17 N705UD was updated on Apr 17, 2019, 10:18.